Carnival is certainly the second biggest year event in Lovran. Traditional international manifestation during January and February has brought many events and entertainment; Ceremony of Carnival openning, Carnival Balls, Children's Carnival, Zubijada, Balinjerada, Carnival Procession, and finally, traditional closing of Carnival with authentic "immolation of Mesopust". More details about Carnival 2019 find on following link. Find more information following this link.. The period from 09.06.2018. till 31.08.2018. Like every summer, Lovran Summer 2018 included a various cultural, musical and artistic events in Lovran. Even more, this summer was the longest summer ever including 3 Fisherman's Nights. The 2018 program guide may be found on following link !!! 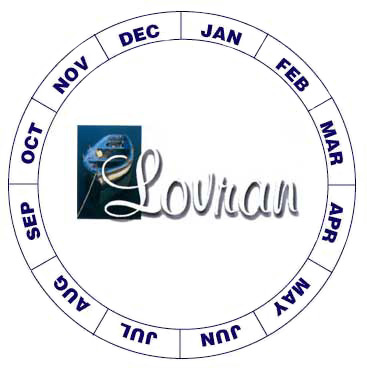 This event becomes one of the most significants events in Lovran. Lovran is famous because of delicios cherries grows on its area. During Festival of cherries, you had a opportunity to enjoy in unique Lovran cherries, cherry cakes, cherry beer, and other specialities in the restaurant and cafes of Lovran. Christmas and New Year's Eve in Lovran !!! Details about Carnival 2017 find by clicking on following link. More details about Marunada 2016 find on following link. The period from 19.06.2016. till 04.09.2016. Like every summer, Lovran Summer 2016 included a various cultural, musical and artistic events in Lovran. Even more, this summer was the longest summer ever including 3 Fisherman's Nights. The 2016 program guide may be found on following link !!! Details about Carnival 2016 find by clicking on following link. More details about Marunada 2015 find on following link. The period from 26.06.2015. till 31.08.2015. Like every summer, Lovran Summer 2015 included a various cultural, musical and artistic events in Lovran. Even more, this summer was the longest summer ever including 3 Fisherman's Nights. The 2015 program guide may be downloaded in PDF format on following link !!! Details about Carnival 2015 find by clicking on following link. More details about Marunada 2014 find on following link. The period from 11.07.2013. till 31.09.2014. Like every summer, Lovran Summer 2014 included a various cultural, musical and artistic events in Lovran. Even more, this summer was the longest summer ever including 3 Fisherman's Nights. More details find on Lovran Summer 2014 page !!! Details about Carnival 2014 find by clicking on following link. More details about Marunada 2013 will be online very soon. The period from 30.06.2013. till 01.09.2013. Like every summer, Lovran Summer 2013 included a various cultural, musical and artistic events in Lovran. Even more, this summer was the longest summer ever including 3 Fisherman's Nights. 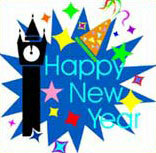 Details about Carnival 2013 find by clicking on following link. More details about Marunada 2012 find following this link. The period from 03.07.2013. till 07.09.2012. Like every summer, Lovran Summer 2012 included a various cultural, musical and artistic events in Lovran. Even more, this summer was the longest summer ever including 3 Fisherman's Nights. More information find on Lovran Summer 2012 page !!! New Year Eve 2012 in Lovran. More details about Marunada 2011 find following this link. The period from 01.07.2011. till 29.08.2011. Like every summer, Lovran Summer 2011 included a various cultural, musical and artistic events in Lovran. Even more, this summer was the richest summer ever including 4 Fisherman's Nights. More information find on Lovran Summer 2011 page !!! Details about Carnival 2011 find by clicking on following link. New Year Eve 2011 in Lovran. More details about Marunada 2010 find following this link. The period from 30.06.2010. till 28.08.2010. Like every summer, Lovran Summer 2010 comprised a various cultural, musical and artistic events in Lovran. Even more, this summer was the richest summer ever comprising 4 Fisherman's Nights. More information find on Lovran Summer 2010 page !!! Lovran and famous Lovran Brass Orchestra (as for last 16 years) organized International Brass Orchestra Festival. Beside Lovran Brass Orchestra, there was orchestras from Italy (Filarmonica "Giuseppe Verdi" di Lecco) and Hungary (Balatonfüredi Koncert fuvos zenekar). Great event, brilliant orchestras. Details about Carnival 2010 find by clicking on following link. New Year Eve 2010 in Lovran. More details about Marunada 2009 find following this link. The period from 07.07.2009. till 31.08.2009. Like every summer, Lovran Summer 2009 comprised a various cultural, musical and artistic events in Lovran. Even more, this summer was the richest summer ever comprising 4 Fisherman's Nights. More information find on Lovran Summer 2009 page !!! Details about Carnival 2009 find by clicking on following link. New Year Eve in Lovran 2009. More details about Marunada 2008 find following this link. The period from 27.06.2008. till 27.08.2008. Like every summer, Lovran Summer 2008 comprised a various cultural, musical and artistic events in Lovran. Even more, this summer was the richest summer ever comprising 4 Fisherman's Nights. More information and details find on Lovran Summer 2008 page !!! Lovran and famous Lovran Brass Orchestra (as for last 14 years) organized International Brass Orchestra Festival. Beside Lovran Brass Orchestra, there was orchestras from Italy (Filarmonica "Giuseppe Verdi" di Lecco) and Hungary (Balatonfüredi Koncert fuvos zenekar). Great event, brilliant orchestras. The enthusiastic idea and ambition of Lovran Bicycle club to have a Bicycle race in Lovran results in this unique event!!! Although Lovran Municipal Day is on April 23rd (Day of St. George) various of events will last whole week starting on April 18th till April 29th. Come to Lovran and celebrate Lovran Municipal Day... You will be very welcome. Details about Carnival 2008 find by clicking on following link. More details about Marunada 2007 find following this link. The period from 10.07.2007. till 24.08.2007. Like every summer, Lovran Summer 2007 comprised a various cultural, musical and artistic events in Lovran. More information and details find on Lovran Summer 2007 page !!! Easter concert of mixed chore: KUD "Lovor"
Carnival is certainly the second biggest year event in Lovran. Traditional international manifestation during January and February has brought many events and entertainment; Ceremony of Carnival openning, Carnival Balls, Children's Carnival, Zubijada, Balinjerada, Carnival Procession, and finally, the main event, traditional closing of Carnival with authentic "immolation of Mesopust". Images and details about Carnival 2007 find by clicking on following link.